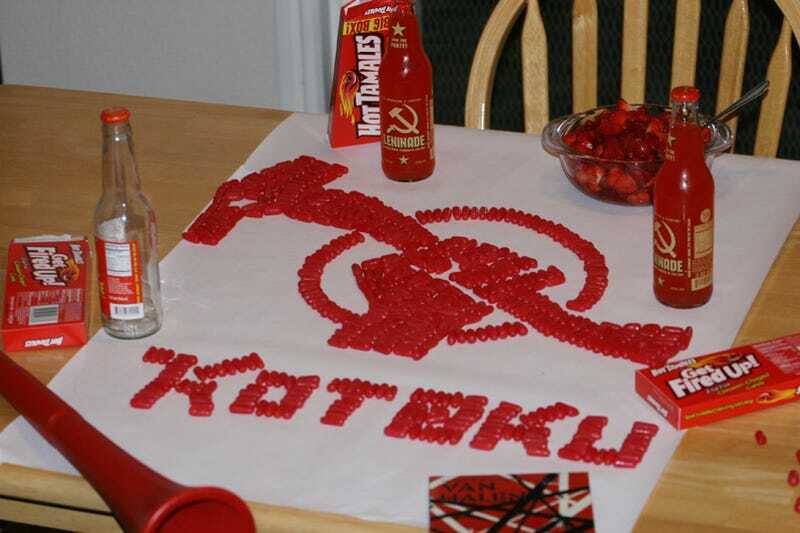 This may not have the most red in it but it does have a lot of meaning behind it, but hey when you have 400+ hot tamales, strawberries, a horn, some Van Halen and a leninade then you better be ready for a revolution. Viva la revolution! Below is reader Graveswaslike's entry. His girlfriend made that RF:G logo on the wall with red tape.